Fall down laughing (see what I did there?) with something a bit new from Santa Barbara Improv. 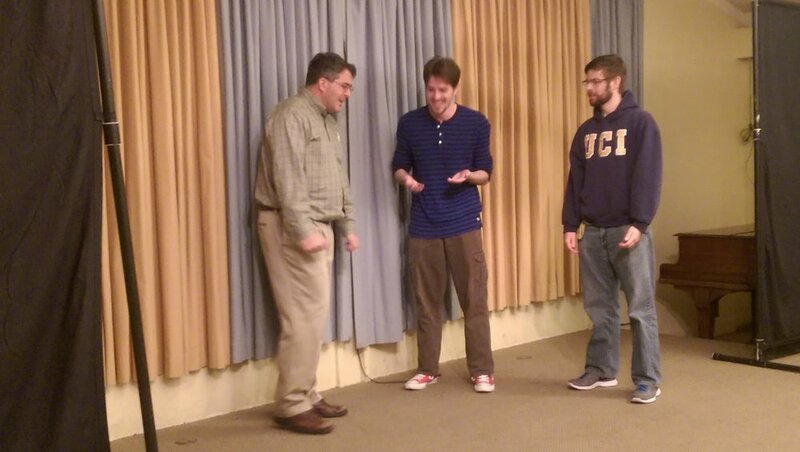 Our October show will feature a team of players showcasing a bit of LONG FORM IMPROV! If you've never experienced it before (or don't know what the heck it is), well plan to get yourself over to Jefferson Hall this Saturday for something a bit new and different! On Friday, January 22, 2016, I'll once again be part of a powerful workshop on upgrading your skills as a speaker. The lead presenter, Kymberlee Weil, does an amazing job focusing on the content and structure of your presentation, and I spend time working on the presentation itself, applying the concepts and lessons of improv when working with an audience. Our previous workshop was a big success and all the attendees did very practical, hands on work building their talks and making presentations to an audience. I highly recommend it. Check out more details at the workshop website. Another great show with an audience of 17 people. Our players were (back row) Ryan, Andrew, Alan, Jonathan, Brian, (front row) Heather, Li-At, and Jasmin. We got in 17 scenes, 8 of which were open scenes. We ended with Mortgage in London, so less than half of our show is made up of short form games! "Banks - they're fun to rob!" "It's my turn to do the dishes!" said in an enthusiastic voice.